Miami artists and arts enthusiasts are getting a powerful new champion. 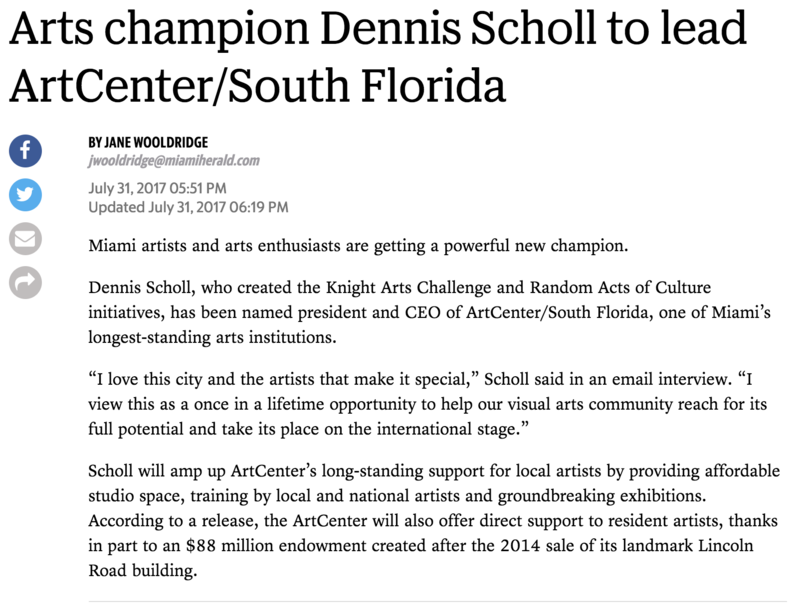 Dennis Scholl, who created the Knight Arts Challenge and Random Acts of Culture initiatives, has been named president and CEO of Oolite Arts, one of Miami’s longest-standing arts institutions. Scholl will amp up ArtCenter’s long-standing support for local artists by providing affordable studio space, training by local and national artists and groundbreaking exhibitions. According to a release, the ArtCenter will also offer direct support to resident artists, thanks in part to an $88 million endowment created after the 2014 sale of its landmark Lincoln Road building.